In celebration of Howard Graphic Equipment Ltd.’s 50th anniversary, we have created a unique architectural display to also celebrate the innovators of the modern Offset Press. 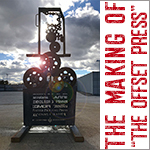 Showcasing a single offset printing unit as an art form, it is unique and now displayed in front of our printing history museum. 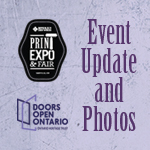 We're pleased to report that the first annual Print Expo & Fair, held on Sep 29, in conjunction with the Doors Open Oakville, was a success. It was well attended by visitors from near and far, and received positive reviews all around. 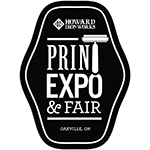 We are pleased to welcome 17 exhibitors to the first annual Print Expo & Fair - a gathering of super talented artists in the fields of printmaking, letterpress printing, bookbinding, and book arts. Let's meet them. The first annual HIW Print Expo & Fair will held at the Howard Iron Works Print Museum in Oakville on September 29, 2018. The event is part of the Doors Open Oakville/Halton activities, and offers a great opportunity to celebrate the art of fine printmaking, letterpress printing, typography, book arts, and printed ephemera in a stunning environment. 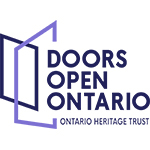 We are excited to announce that HIW Printing Museum will be participating in the 2018 Doors Open Oakville, which will be held on Saturday, September 29, 2018, from 10:00 AM to 4:00 PM. Enjoy live demos, hands-on printing experience, taste Victorian Era treats, appreciate the local talents at the Printers Fair. Admission to the museum is FREE. 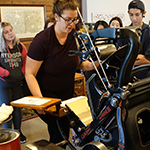 Having learned to set type and print on a Kelsey press and other presses in class, the students were eager to try to print on a floor model platen press. Prof. George Walker brought his students for a visit to the Howard Iron Works Printing Museum recently. 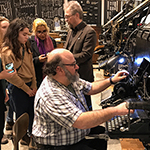 The students were introduced and treated to a live demo on one of the Linotype linecasting machines in the Collection by Myron Peniak. 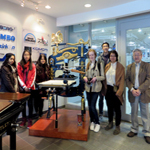 Prof. Art Seto and about 40 Ryerson students visited HIW Museum recently. The students were from Mr. Seto's The Art of The Book course, as well as some from the Letterpress Club..
On January 28, 2017, we welcomed members of the Auburn-Cord-Duesenberg Club (ACD Club) to Howard Iron Works Museum. 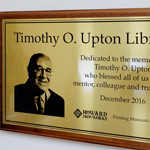 On December 16, 2016, family and friends gathered at Howard Graphic Equipment’s new facility to inaugurate and pay homage to a Printing Industry legend. On April 11, 2016, after 2 1/2 years and an over $17 million dollar renovation, the Clements Library has re-opened. Besides the extensive 80,000 books and 30,000 maps, Clements now has another piece of history and as rare as some of the treasures on the shelves. 2016 HIW Calendar is here! The 2016 calendar is featuring photos of 12 beautifully restored presses and bindery equipment, carefully selected from our Collection. Only limited quantity available. HIW recently welcomed a group of students from Ryerson University's Graphic Communication Management School. 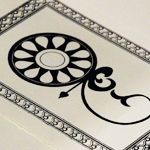 Following the Print World 2014 Exhibition, HIW was approached by the Show Management about a collaboration on the production of the Thank You cards to be presented to the Exhibitors. 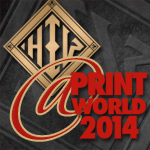 Print World 2014 was held from Nov 22-24 at the Direct Energy Centre, Toronto. 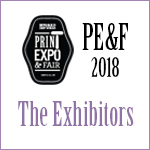 Billed as the largest show for the shorter-run and small-format printers, the exhibition was a success as exhibitors saw a great deal of sales being closed at the show. 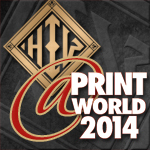 Print World 2014 is to be held from Nov 22-24 at the Direct Energy Centre, Toronto. The trade show is dedicated to shorter-run and small-format printers in both digital and offset categories. 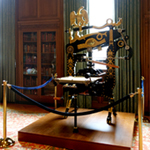 Visitors to Print World 2014 will have an opportunity to see six fully restored platen and iron presses ranging in ages from 1837 to 1919 - BOOTH 900. An impressive line-up of more than 300 authors were featured - from the new-comers to the world-class writers such as Margaret Atwood and Anne Rice were in attendance, as well as Commander Chris Hadfield, with his new book "You Are Here", made an appearance. 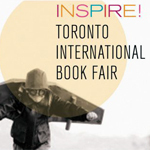 HIW is to participate at INSPIRE! 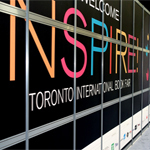 Toronto International Book Fair (TIBF) being held at the Toronto Convention Centre in November. The book fair is a print and digital showcase celebrating The Book in all forms. HIW plans to show some of the restored platen and iron presses from our Collection. 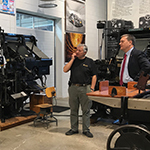 Howard Iron Works is now restoring its newly acquired C. Potter Jr. newspaper press, first manufactured in 1866 – one year before the formation of Canada. 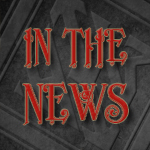 HIW NEWS - April 2014 Issue is here! 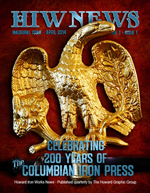 The inaugaural issue of HIW News celebrates the 200th anniversary of the birth of what was arguably the most beautiful piece of machinery ever designed, bar none, The Columbian Iron Press. Invented by George E. Clymer, of Philadelphia, PA, the first Columbian Iron Press was built in 1813, before his move to England in 1817 where he continued to produce the presses in London. Although the Columbian enjoyed tremendous success in England, ironically, it was not well received in America. 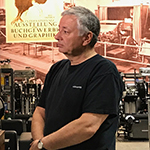 Howard Graphic Equipment is pleased to announce the opening of Howard Iron Works Printing Museum and Antique Restoration Facility in Mississauga, Ontario, Canada. Howard Graphic Equipment is pleased to announce the opening of Howard Iron Works Printing Museum and Antique Restoration Facility based here.